Here is a quick question: how long do you think the fire extinguisher in your boat’s galley will last in the event of a fire? A minute? Two minutes? Maybe 10? In fact, a typical recreational marine fire extinguisher—basically the little foot-long jobbies tucked into the corners of untold thousands of boats—will last 10 to 12 seconds. That’s it. Think about it—smoke starts pouring out of your engine compartment, and all you’ve got is 10 seconds in which to put the fire out. After that you’re out of luck. 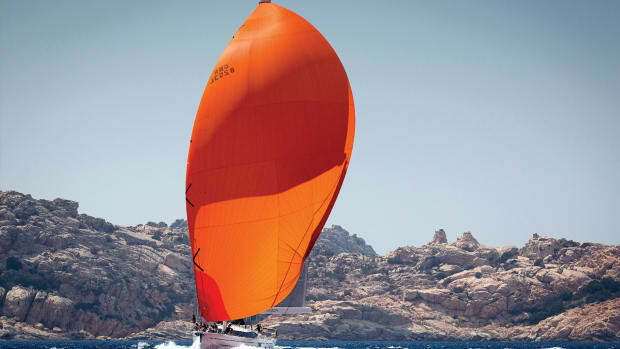 And remember: the speed with which a fire can spread aboard a boat made of petroleum-derived materials and packed with sails, provisions, wooden joinerywork and fuel can be nothing less than terrifying. According to studies, an established fire can double in size every 30 seconds or less, depending on the circumstance. It’s with good reason that veteran sailors fear fire far more than storms. Next question: do you know what kind of fires the fire extinguishers you have onboard are designed to put out? If you think “all of them,” then you are likely wrong again. As a result, given the right combination of circumstances, even a well-directed 10-second blast might not be adequate to keep you and your crew from having to abandon ship. When it comes to fighting fires, all flames require a combination of heat, fuel and oxygen, but that does not mean they are all equal. In fact, the Coast Guard and other safety organizations define three types of fires—A, B and C—depending on the type of materials affected. Type B refers to fires fueled by inflammable liquids, like diesel fuel, gasoline, alcohol, varnishes and oil-based paint. Think of B as referring to materials that boil and that need to be “blanketed,” or smothered, if they’re to be extinguished. The reason for these designations is that different fires need to be fought in different ways. Pouring water on a wood fire, for example, works because it serves to remove the heat from the heat part of the combustion equation. However, dumping water on an electrical fire is only going to make things worse and put you in danger of electrocution. Similarly, pouring water on a grease or gasoline fire may only cause it to spatter, helping it spread. On the other hand, smothering a grease fire with a chemical agent as it spreads across your galley stove may make all the sense in the world. But trying to smother an A-class fire climbing the veneer on a nearby vertical bulkhead with that same chemical may be another matter entirely. 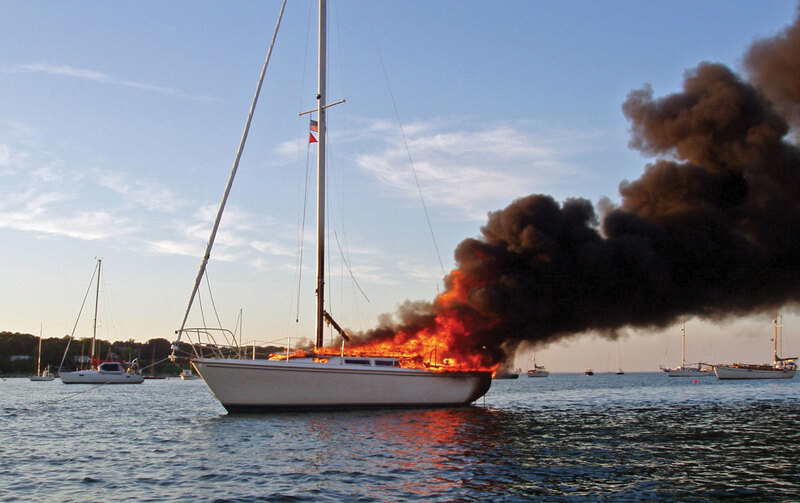 This is important is because not all fire extinguishers are alike—even those approved for use aboard sailboats. Some are capable of fighting all types of fires, but others are configured for only types B and C.
The way to tell is by looking at the labelling of any fire extinguisher you now own or are looking to purchase. A 5-B.C. extinguisher, for example, will be effective only against liquid or electrical fires. It will also only provide a moderate amount of fire-suppressing material, typically sodium bicarbonate, i.e, baking soda. A 3-A, 40-B.C., on the other hand, will not only provide at least some degree of effectiveness against all three kinds of fires—either in the form of a tri-class dry chemical, like monammonium phosphate, or Halotron 1, a type of gas that chemically interrupts the combustion process—it also offers substantially more punch, as indicated by the larger number preceding the letters. Specifically, a B-I must contain 2lb of dry chemical while a B-II must contain 10lb. 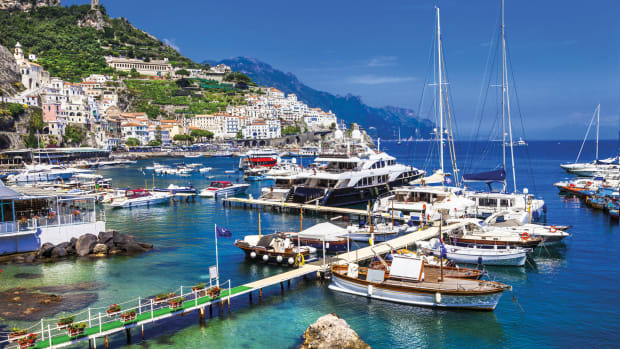 It is therefore possible that your boat could carry a full set of extinguishers, none of which is intended to fight all three kinds of fires. 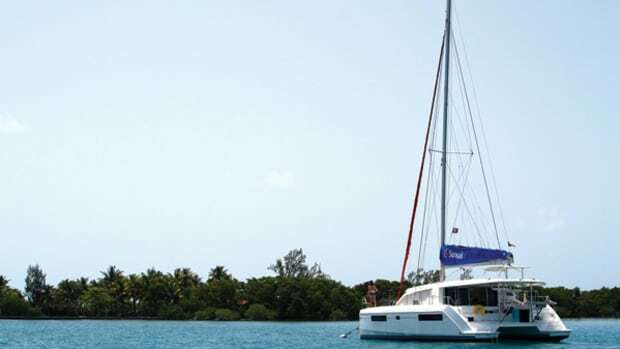 Boats with inboard engines up to 26ft LOA are required to carry a single B-I fire extinguisher. Outboard boats without fixed tanks or enclosed engine spaces don’t need to carry any kind of extinguisher. Boats with LOAs from 26ft to 40ft must carry two B-I extinguishers or a single B-II extinguisher. 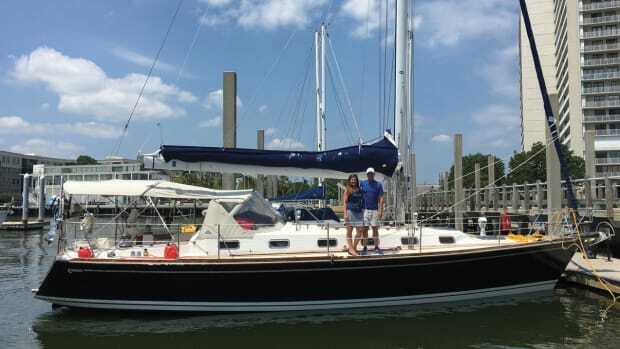 Boats with LOAs from 40ft to 60ft must carry three B-Is or a B-I and a B-II. 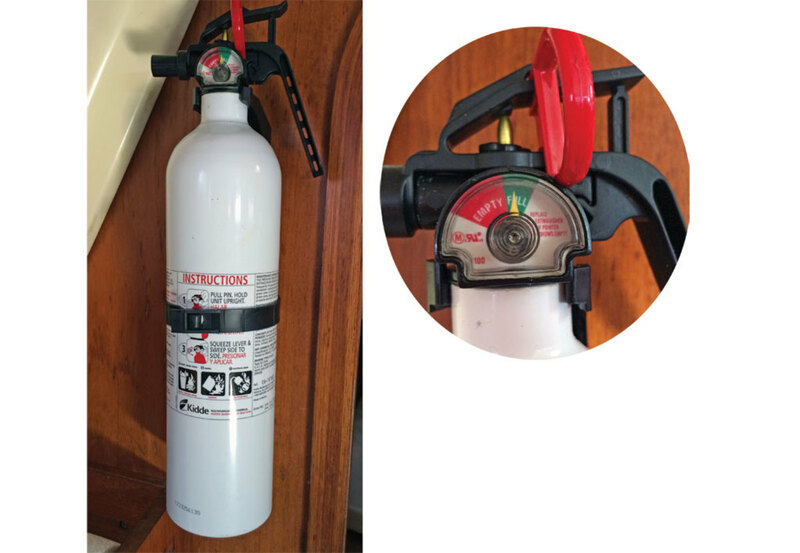 In all cases, each extinguisher must come equipped with an approved mounting bracket for quick and easy access. 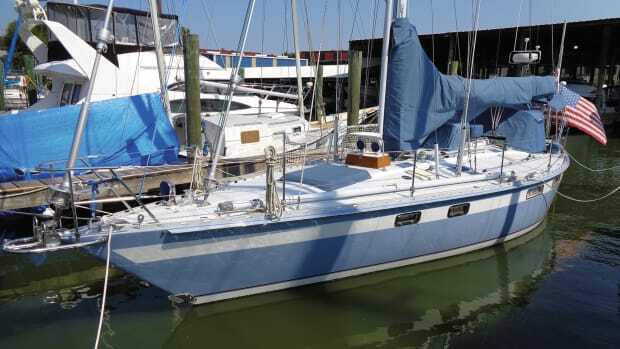 Note that given these requirements a 65-footer can be in compliance with Coast Guard regs and not have a single extinguisher aboard intended to fight a class A fire. In other words, if, say, a wood bulkhead or doorway is ablaze, you may have a tough time of it. Also note how few fire extinguishers we’re talking about here. In the words of BoatU.S.  Foundation assistant director of boating safety Ted Sensenbrenner, “Coast Guard minimums are just that, minimums.” Anyone interested in seriously protecting their boat from an onboard fire would be foolhardy to think so few extinguishers would do the job. 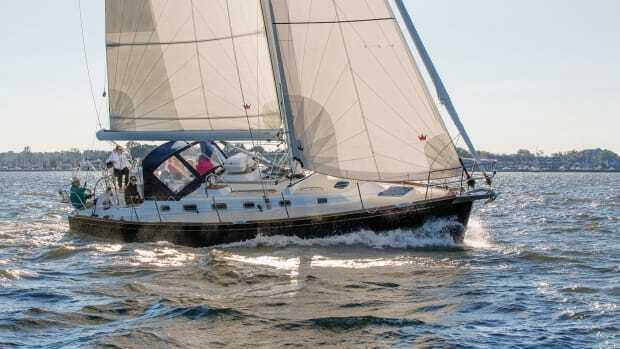 Imagine, for example, you have a well-established galley fire quickly spreading along the joinery work by your nav station, and all you have to fight it are three B-I units, providing a 10-second blast of baking soda each. Better hope you use those 10-second blasts wisely! Granted, you could also run to get a bucketful of water, but remember, once a fire is established even a few seconds delay can mean disaster. The difference between a basic 5-B.C. B-I and a 1-A, 10 B.C. B-I capable of fighting all three types of fires and containing a good deal more fire suppressant can be as little as $30. Even a top-end Halotron I unit is only around $370. 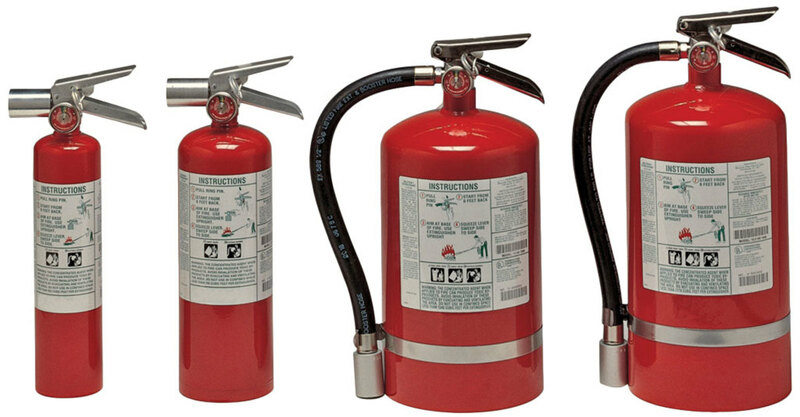 Same thing with the number and types of fire extinguishers you choose to carry: why not have at least one small extinguisher in each stateroom in addition to a pair of extinguishers in the galley and by the engine compartment? While you’re at it, Sensenbrenner says, why not have at least one of each type at your disposal to ensure you are prepared to deal with any type of fire? 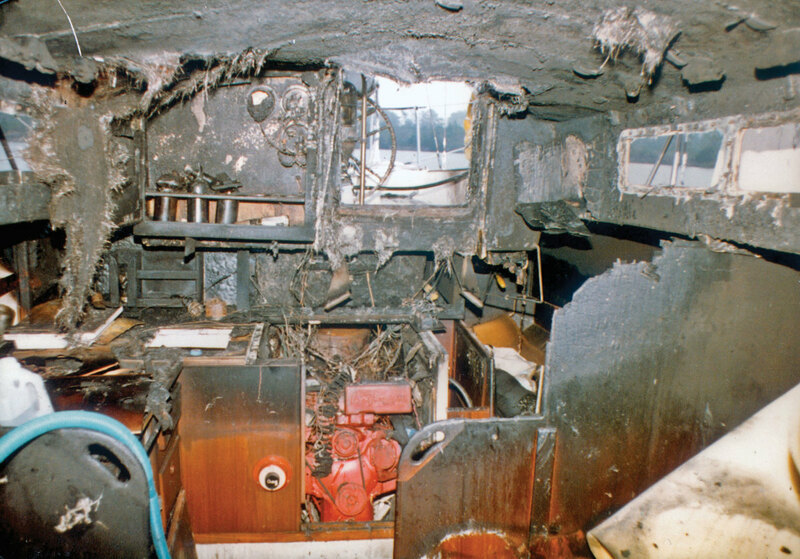 Dry chemical fire suppressants work great in the galley, while Halotron I is especially well suited to fighting fires in an enclosed engine space. It also offers the advantage of not obstructing your vision by filling the air with clouds of dust. You should also consider keeping a fire blanket by the galley—these are great for dealing with grease fires by starving them of oxygen. In addition to having the correct equipment onboard, you and your crew should always be sure to have a fire-fighting plan in place. Read the instruction labels and make sure you are all familiar with the various pins, levers or buttons employed to activate each extinguisher, so that you don’t find yourselves fumbling with the equipment at the same time your boat’s interior is filling with smoke. Keep in mind the “PASS” approach to fighting fires: P—pull the locking pin in the lever or button; A—aim low, for the base of the fire where the fuel source is, as opposed to the flames themselves; S—squeeze the lever or trigger; and S—sweep the blast of suppressant back and forth across the base of the flames until the fire is out. Also be sure to show your crew how to isolate the batteries from the electrical system so that you aren’t the only one aboard capable of dealing with, say, a catastrophic short. This is especially true for on-watch crew who might be in charge of the boat when you’re in your bunk on passage. Never forget that in the case of fire, every second counts. Finally, consider putting a Fire-Port in one of the bulkheads surrounding your engine compartment, to ensure you can both discover and put out any fire that begins there as quickly and safely as possible. 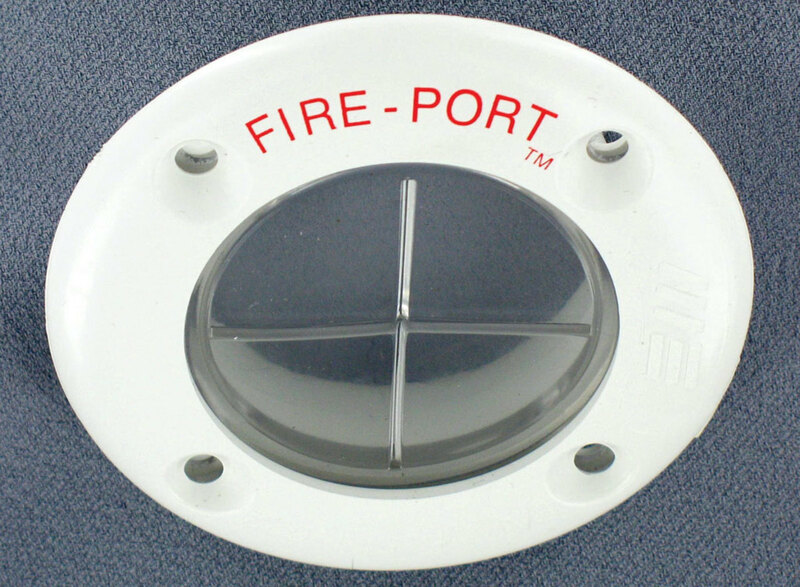 [advertisement]The beauty of a Fire-Port is that it allows you to identify a fire without having to open a hatch and thereby allowing fresh oxygen in to fan the flames.You can even fight a fire through the port, maximizing the effectiveness of your efforts—especially when using a Halatron I extinguisher, where concentrating the chemical in an enclosed space makes it that much more effective—and protecting you from getting burned. 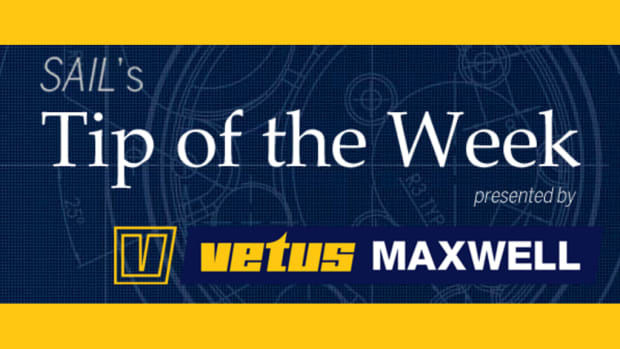 According to Nathaniel Boggs of Fire-Port manufacturer MarineEast.com, while most of his business is with OEMs, retrofitting a port to an existing vessel is both cheap and easy. Boggs adds that Fire Ports are not just for larger vessels, with many manufacturers install them in the sides of small outboard wells. Again, we’re not talking about a lot of money here, and if you ever find yourself needing it, you’ll be glad it’s there. Different types of fires require different techniques to extinguish. These represent over half the fires that break out aboard sailboats and are usually caused by fuel or electrical problems, or both. Cut the engine and turn off the batteries. Turn off the fuel supply. If you haven’t installed a Fire-Port, carefully open the engine cover just enough to insert a fire extinguisher and trigger it. Repeat as necessary, but beware of opening the engine cover too soon or a fire may flare up again. 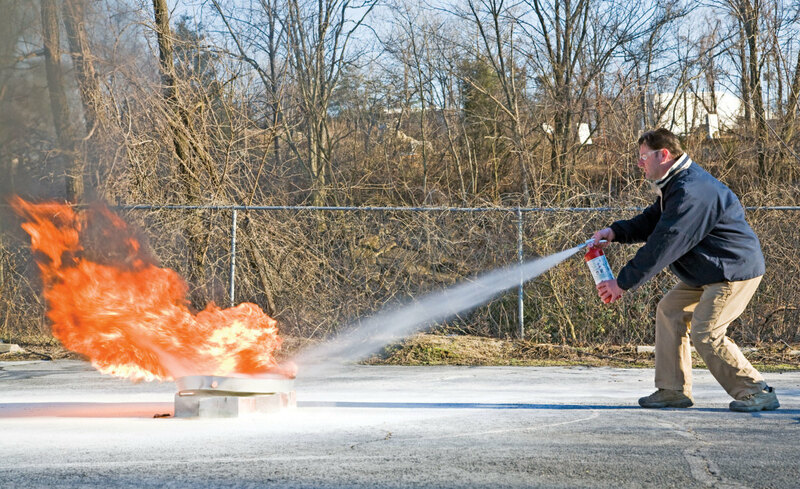 Dry chemical extinguishers aren’t the best at fighting engine fires—it’s difficult to direct them at the source of the flames—which is why the ABYC recommends that gaseous extinguishers, like those employing Halotron I, which either displace the oxygen feeding the fire or interrupt the combustion process, be used. Turn off the engine and batteries. Deploy dry chemical fire extinguishers at the source of the fire. 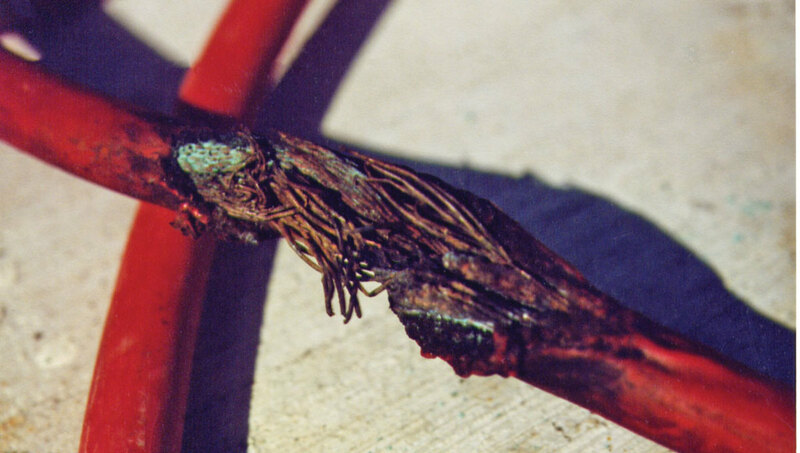 Do not throw water on an electrical fire. If possible, shut off the source of the fuel. If the fire is a small one, it may be smothered with a fire blanket. Do not throw water on a fuel fire. It will only serve to spread the flames. Immediately switch off the propane. If the fire is in the oven, shut the oven door to help deplete it of oxygen. If it’s in a pan, cover the pan with a lid, a wet towel or a fire blanket. (Leave the pan covered while it cools or it may flare up again.) If the fire is on the stovetop, use a fire blanket or, if necessary, a fire extinguisher. Do not throw water on a grease fire. If the fire appears to be neither electrical nor fuel-related, in other words type A, close any hatches or portlights that may be directing air to the flames. However, while you don’t want to fan the flames you don’t want to succumb to smoke inhalation either. Throw water on the fire, employ a fire blanket to smother it or use a fire extinguisher. If the fire is behind a closed door or hatch, open it very carefully and squirt a fire extinguisher into the space. If you can’t contain the fire, issue a Mayday call, get the crew in their lifejackets, and prepare to abandon ship.